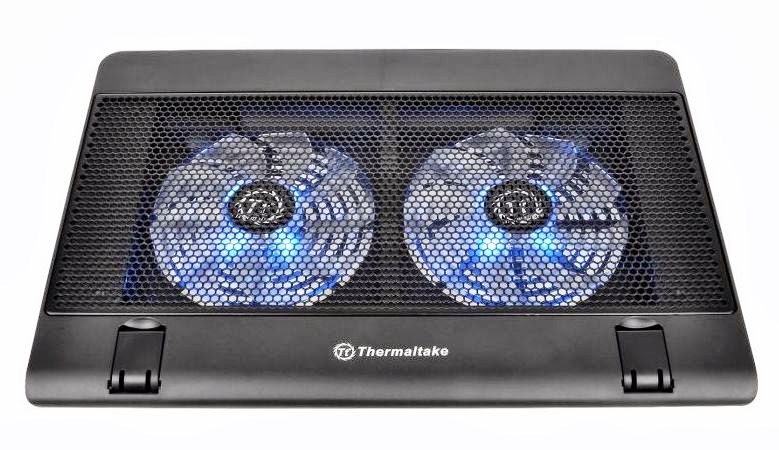 Taipei, Taiwan – July 16, 2013 – Thermaltake, being an industry leader in computer chassis, thermal solutions, and power supply units introduces from the same Massive series, Massive 14² Laptop cooling pad. Built with two 14cm LED fans at the bottom enables laptop cooling capacity pushed to extreme. The ergonomic design of appearance and the most comfortable viewing angle while using are suitable for 17-inch or relative types of laptop.